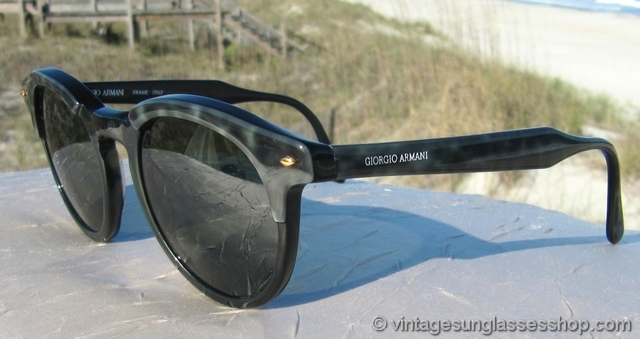 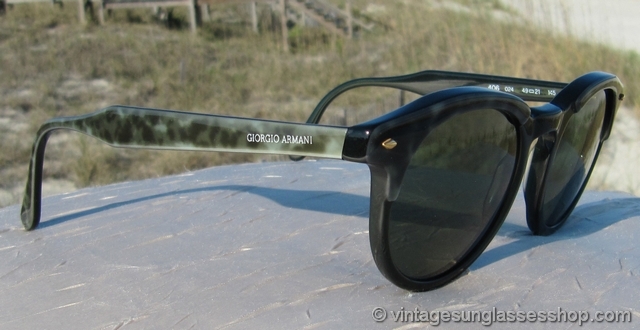 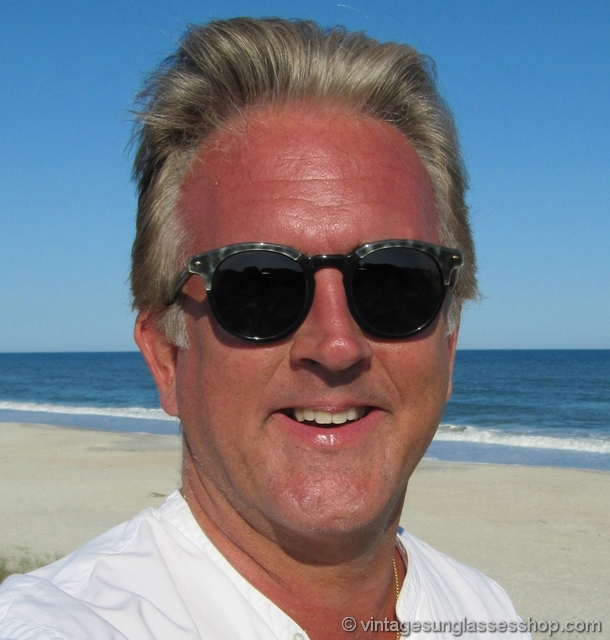 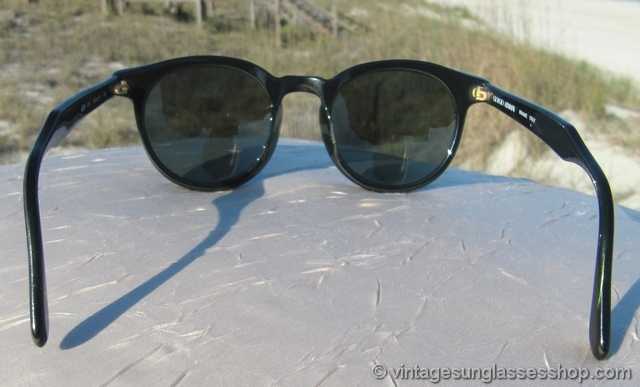 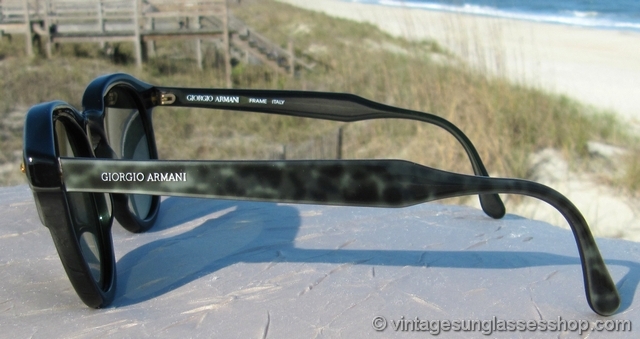 Vintage Giorgio Armani 406 024 mottled blue - gray tortoise shell sunglasses have the classic Armani lines but a distinctive and eye catching frame color you seldom see. 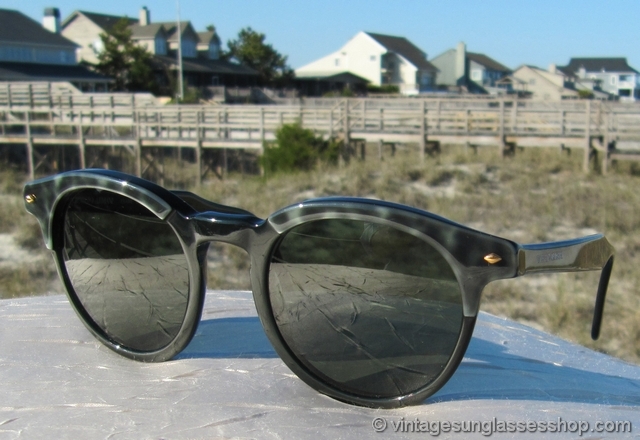 It's a great mix of elegance with a little flash thrown in for good measure, and the high quality Italian frame looks great on both men and women at approximately 5.25" temple to temple. 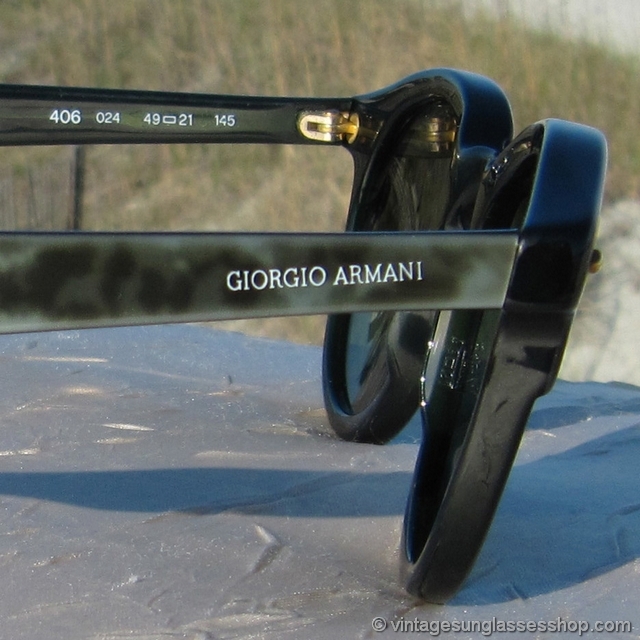 The shape of Armani 406 sunglasses is all Italian and all Armani, and the gold studs add just the right amount of additional flare on each temple. 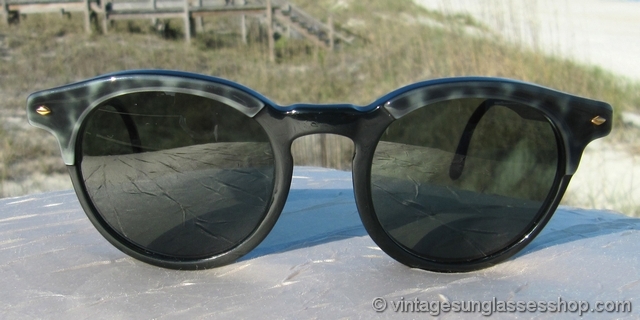 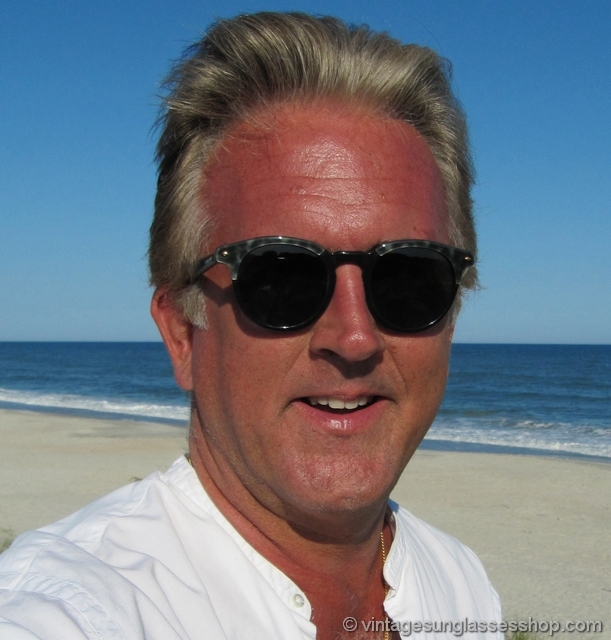 It's a preppy shape, but the blue and gray mottled tortoise shell frame is definitely not your typical look. 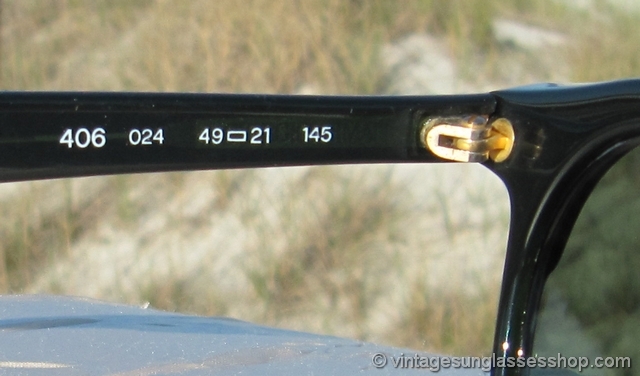 The lenses measure approximately 1.75" x 1.75" at the widest points with the frame getting much thinner at the bottom to emphasize the top accents. 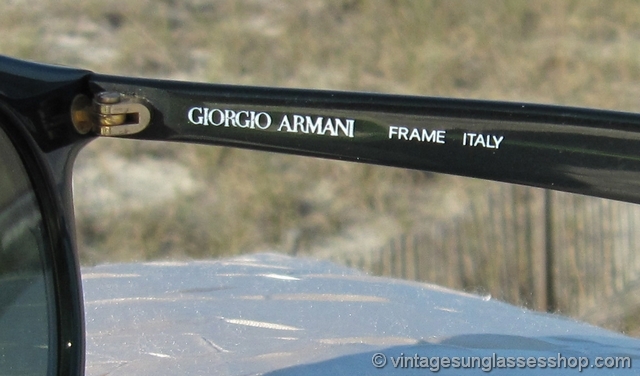 The Giorgio Armani logo is embossed on the outside of each ear stem, and the inside of one ear stem is marked Giorgio Armani Frame Italy while the inside of the other stem is marked 406 02449  21 145.